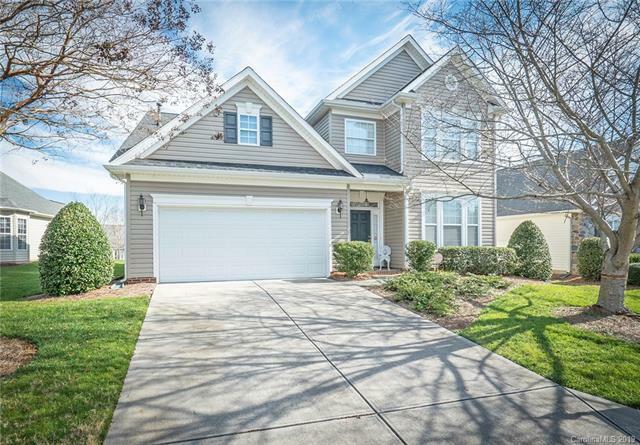 Relaxed & carefree living at its best in this immaculately cared for home in Fort Mill's best value 55+ community. Natural light abounds in the two-story living & dining rooms great for entertaining. Spacious kitchen and den w/fireplace walks out to screened porch plus patio area. Very large master suite on main floor features walk-in closet and owners bath w/two separate vanities and walk-in shower. Guest bed/office also on main floor with its own full bath. Upstairs find a great big loft/bonus room area as well as another large bedroom w/storage and full bath. Community features a beautiful amenity center- pool, spa, clubhouse, bocce courts, billard room, tennis, and much more. Easy access to Charlotte, just mins from I-77. Come see the nice maintenance free yard awaiting your spring garden! $3,000 updating/counter-top credit now included!